DENMARK: Dong Energy is opening an office in Taiwan to "explore offshore wind opportunities" in the Asia-Pacific region as its wind operations helped the company's pre-tax earnings increase 35% year on year in the first quarter. Dong's earnings before interest, taxes, depreciation and amortisation (Ebitda) was DKK 8.1 billion (€1.1 billion) in the three months to end of March 2016. Earnings were offset by a fall in oil and gas earnings from DKK 2.5 billion to DKK 1 billion year-on-year. Net profit for the group also grew nearly 200% from DKK 1.7 billion in Q1 2015 to DKK 5.2 billion this year due to the strong earnings. Dong said the increases were a result of strong underlying growth in its wind business. Wind power Ebitda grew 53% in the quarter to DKK 2.9 billion. 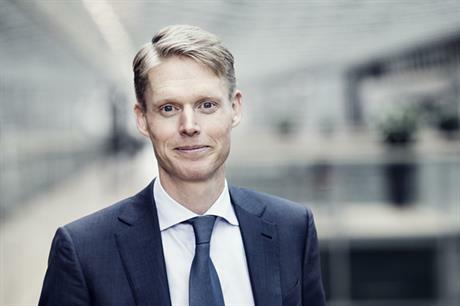 Dong CEO Henrik Poulsen said the company had a "strong start to the year and a rewarding first quarter". In the quarter Dong gave a final investment decision on the 1.2GW Hornsea Project One site in the UK North Sea. It also sold a 50% stake in the 258MW Burbo Bank Extension project currently under construction in the UK's Irish Sea. On the back of the strong growth and with the target of building 1GW of new offshore wind capacity every year between 2020 and 2025, Dong is looking for new markets to expand in to. Having already acquired two US zones – with the potential for 2.5GW of offshore capacity – the firm has also announced plans to set up an office in Taiwan. Dong said the move would allow the company to explore the Asia-Pacific region, but Poulsen appeared to focus on the Taiwan market. "Taiwan has a well established support regime," Poulsen told investors during the financial report webcast. The country wants to phase-out nuclear and has a high share of fossil fuel imports, he explained. The country has a 20-year subsidy regime in place and has identified a number of sites for potential offshore developments, he added. In August 2015, Taiwan's economic affairs ministry increased the country's offshore wind target to 4GW, from 3GW, by 2030. While the country has yet to install any offshore wind capacity to boost its current 647MW of onshore wind, there are a number of projects at advanced stages of development. Siemens was awarded a contract by Formosa Wind Power to supply two 4MW turbines to an offshore test site in June 2015. The turbines will be installed by Dong's vessels subsidiary A2Sea. And Taiwan Generations Corp (TGC) is also planning to install a two-turbine pilot offshore project in the Taiwan Strait, using a European-built turbine. Poulsen believes the project site conditions around Taiwan are similar to those found in Europe so he is confident of Dong's ability to operate there. Dong is planning to issue an initial public offering (IPO) by the end of Q1 2017, subject to market conditions. "Assuming such an IPO takes place before the end of Q1 2017... we would expect to pay a dividend of DKK 2.5 billion for FY2016," the firm said.